This Aboriginal Meeting Place and Community Radio Station is at Lake Cargelligo Catholic Primary School. It is a distinctly contemporary structure that makes reference to traditional rural Australian architecture. 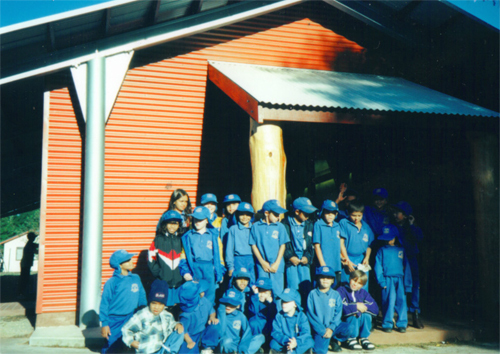 Half of the student population are Aboriginal in the outback school where this facility is located. The building’s signature is two massive cypress tree trunks which frame the front porch. These serve as a canvas for Aboriginal paintings of hand stencils and animals, painted by the students under the tutelage of Aboriginal elder Lindsay Kirby. The structure combines corrugated iron with an exposed steel pole frame. Its steel pole branches, which also act as structural braces, symbolise trees. Red desert soil in the surrounding landscape is continued into the exposed red concrete floor, which has been ground, polished and sealed for a low-maintenance finish. The interior is lined with natural materials: plywood and cypress timber. It is diagonally bisected in plan between the open plan community meeting room, and the enclosed space of the community radio station, which is run by the students. The Koori Mail reported that the facility is intended to provide the school with a space for Aboriginal literacy teaching, radio recording activities, community arts and crafts, temporary exhibitions and gatherings of families for a cup of tea and a chat. It had been turning the heads of the townspeople. 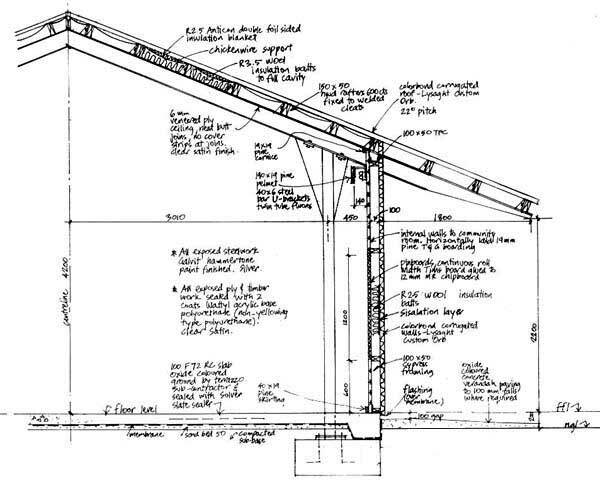 Its solar design combines large roof overhangs over northern windows for winter sun and summer shade and heavily insulated walls. 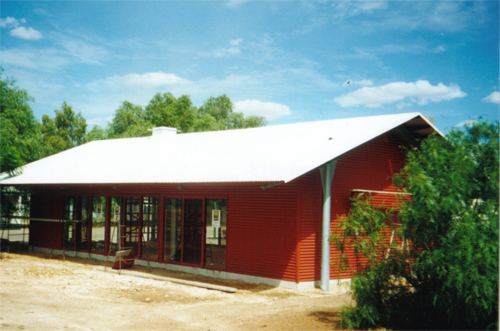 From the outside, corrugated iron finishes and a large overhanging roof blend the building with its surroundings. Heavy cypress tree trunks hold up the porch, and a dark-red earth colour scheme merges the building with its landscape. 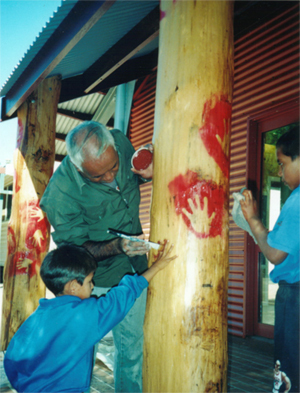 Aboriginal musician and painter from Murrin Bridge mission, Lindsay Kirby, came in to paint the cypress tree poles with help from students. Paintings of local animals and hand stencils now decorate the building.